The Milwaukee County Zoo isn’t the only zoo along I-94. 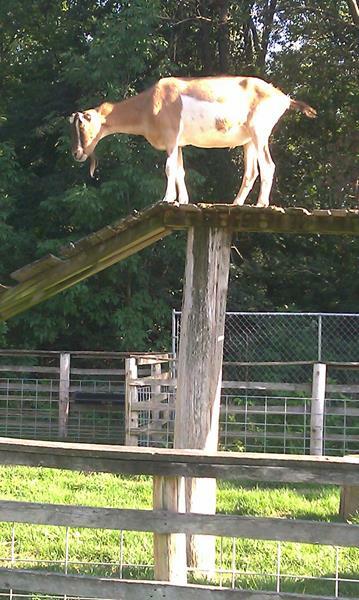 At Exit 275 (County F) in eastern Jefferson County, you’ll find a little mini-zoo behind the Concord General Store, which is also a Mobil station. We’re not kidding. The gas station/general store itself is interesting, with an espresso bar, mechanical horse, historic photos of the township, and a nice selection of everything from fresh hot sandwiches to organic food from area farms. 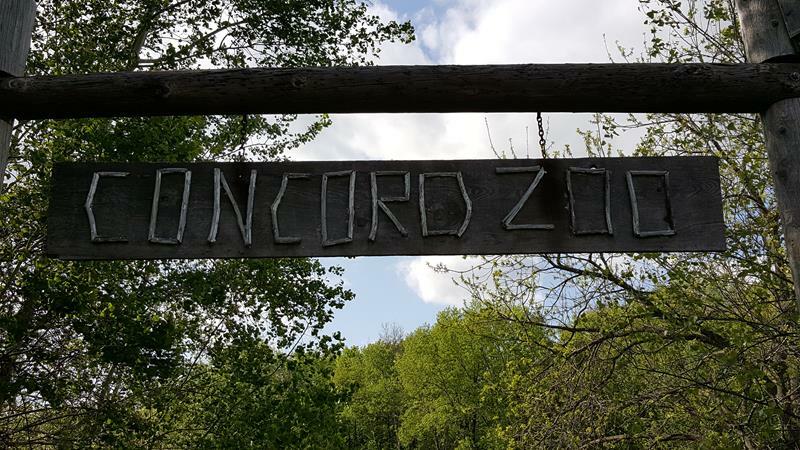 But if you go to the northwest corner of the parking lot you’ll find a wooden sign saying “Concord Zoo” and just beyond, fenced-in areas filled with goats, pigs, cows, chickens, a mule, mini-horses, and even alpacas (they can spit far, so be careful!) In the Concord General Store you can buy large – and we mean large – carrots to feed some of them, too. It can be somewhat therapeutic in an unlikely spot just off the freeway to spend a little time with the animals. 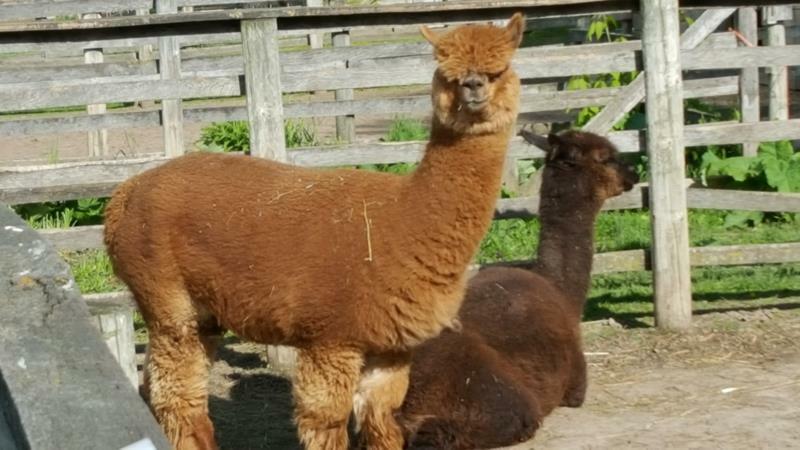 Alpacas are just some of the residents at the Concord Zoo off I-94 at County F west of Oconomowoc. 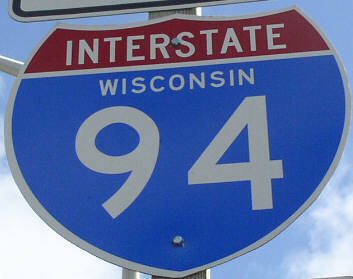 Between roughly Oconomowoc and Pewaukee, I-94 traverses the “Lake Country” of Waukesha County. These lakes are part of the Kettle Moraine, an area glaciers pushed together into peaks and lakes thousands of years ago. 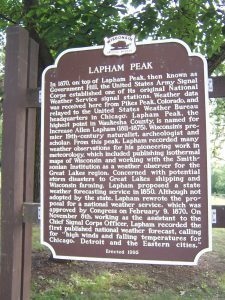 One result was Lapham Peak, Waukesha County’s highest point at 1,233 feet above sea level – about 650 feet higher than Lake Michigan and slightly higher, elevation-wise, than the top of Milwaukee’s U.S. Bank Tower. 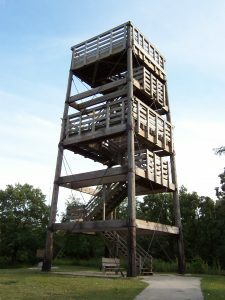 A climb up the 45-foot tower provides a beautiful view of the surroundings. 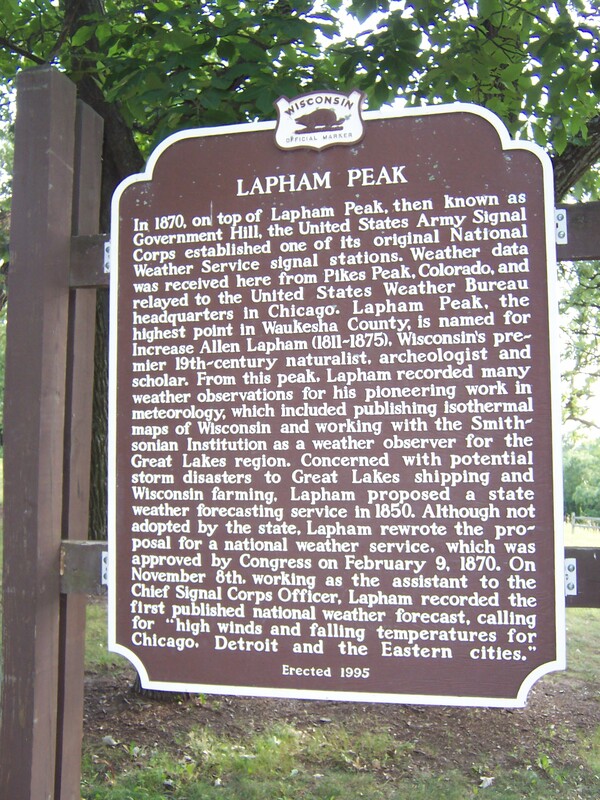 Lapham Peak also happens to be the site of the first National Weather Service forecast, which was issued in 1870. The forecast, developed with the help of signals from Colorado’s Pikes’ Peak, called for high winds in Chicago – among other places. 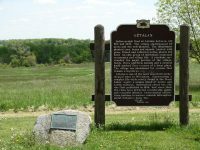 The Kettle Moraine State Forest around Lapham Peak is full of glaciated topography and over 20 miles of trails – including a segment of the Ice Age Trail – for hiking, cross-country skiing, or even skijoring if you want to get real Scandinavian about it. In winter, some trails are lighted for cross-country skiing and candlelight hike and ski events happen throughout the year. SummerStage at Lapham Peak hosts concerts and other performances. You can access the park off County C, about one mile south of I-94 at Exit 285. This National Historic Landmark showcases some of Wisconsin’s rich history predating the European settlers. A thriving village of Native Americans existed along the Crawfish River just east of Lake Mills from approximately 1,000-1,300 A.D. Archeologists have a field day unearthing the remnants, which were discovered by European settlers in the 1830s. 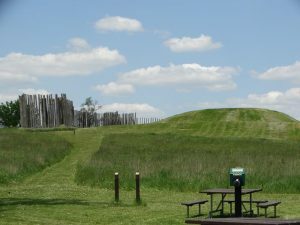 The village, called Aztalan, featured ceremonial grounds, farmland, pyramidal mounds, and even a stockade – some portions of which have been reconstructed. The grounds today make up Aztalan State Park, which covers 172 acres along the river. The Crawfish River is terrific for fishing and canoeing; the grounds also feature prairie, oak woods, a picnic shelter, walking trails, and bathroom facilities. 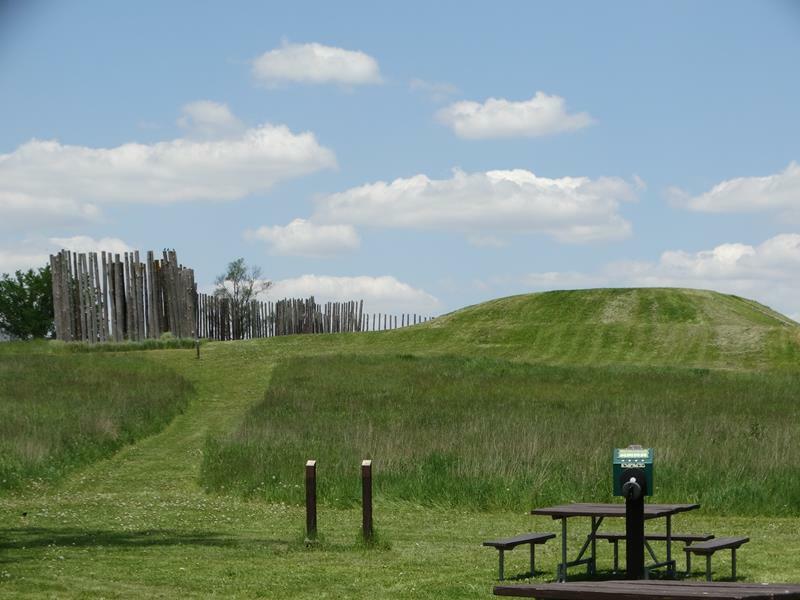 Plenty of mounds and re-creations of wood forts and more illustrate Aztalan’s history. You need a State Park admission sticker to use the park, which is open from 6am-11pm daily. Just up County Q you can also check out the Aztalan Museum, which traces the history of the village, its people, and the European settlement centuries later. 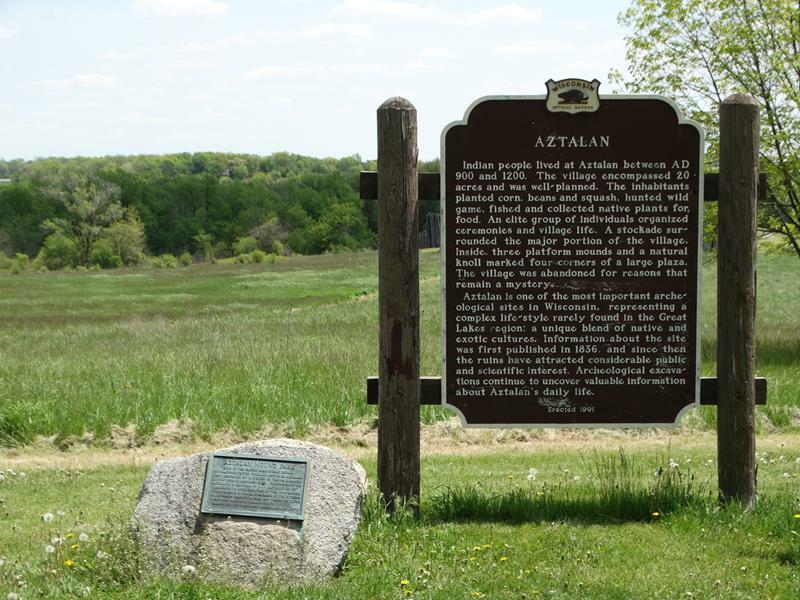 You’ll find Aztalan State Park along County Q just south of County B (which today’s I-94 replaced as the main Milwaukee-Madison route) between the Lake Mills/Highway 89 exit and the Johnson Creek/Highway 26 exit. 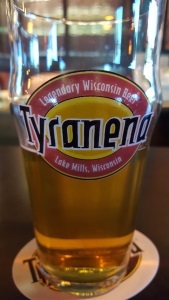 Tyranena notes itself as “Legendary Wisconsin Beer,” calling back to the mysterious stone structures and effigy mounds that border – and are submerged under – today’s Rock Lake… the original name of which was “Tyranena.” You’ll find their Tasting Room just south of I-94 near the Highway 89 exit (Exit 259). A quick ride east on Tyranena Park Road, which parallels the freeway just to the south, will bring you there. 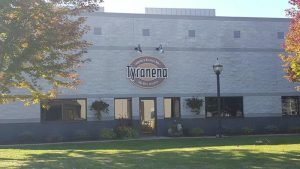 Beers from Tyranena include some colorful names: Bitter Woman IPA, Rocky’s Revenge Brown, Three Beaches Honey Blonde, Headless Man Amber Alt, Sheep Shagger Scotch Ale, Down N’ Dirty Chocolate Oatmeal Stout, Chief Blackhawk Porter, and more. While available in stores throughout the state, you can sample them in their Tasting Room in Lake Mills, which features an outdoor patio during the non-freezing months, games, and live music on weekends. There are also brewery tours every Saturday. Yes, they’re free. 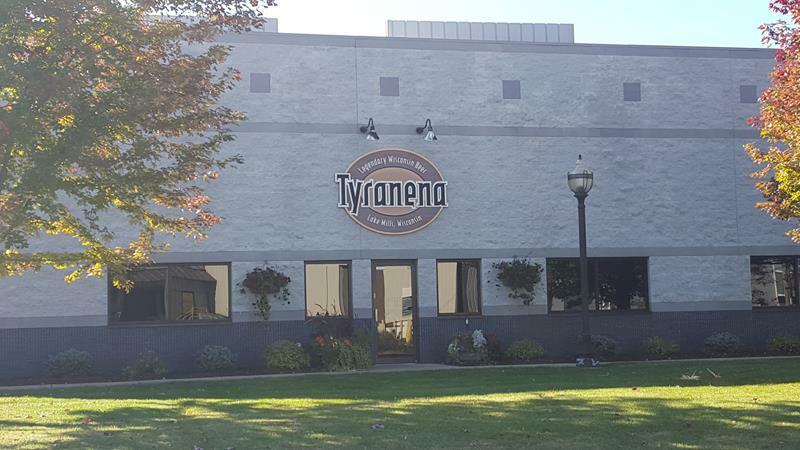 Tyranena’s Tasting Room is open Wednesday-Thursday 10am-4:30pm; Friday 3-11pm; Saturday noon-11pm; and Sunday noon-8pm. 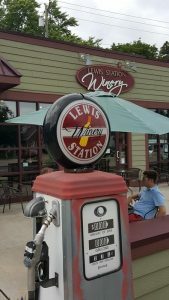 Lewis Station Winery opened in a former gas station (hence the “station” part of the name) in Lake Mills in 2011, right at the corner of Highway 89 and County A (originally Highway 30, the I-94 -esque route between Milwaukee and Madison way back when.) 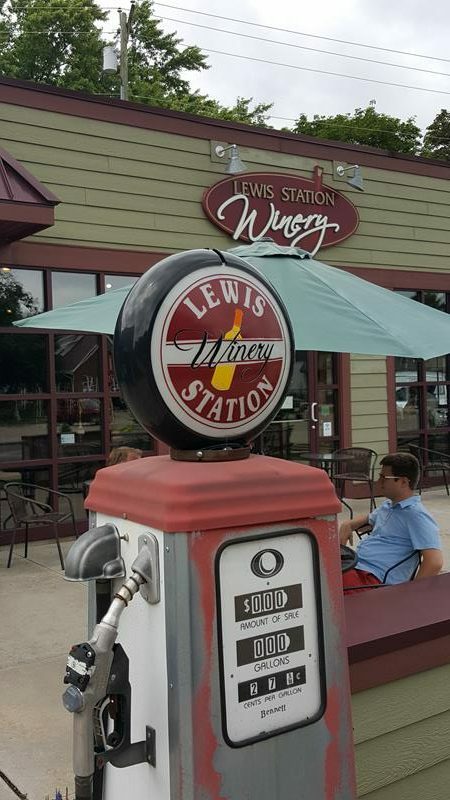 Last year, Lewis Station became Wisconsin’s first Certified Craft Winery by the Craft Wine Association. They produce around 25 different varieties throughout the year, although they’re best known for big reds and sweeter wines. They’re also known for excellent pizzas and other good food to complement their wines. On a nice, warm day, you can enjoy the patio out front and check out local residents enjoying Commons Park, which functions as the town square. Sunshine rose in 2018 in downtown Lake Mills, right along Highway 89. 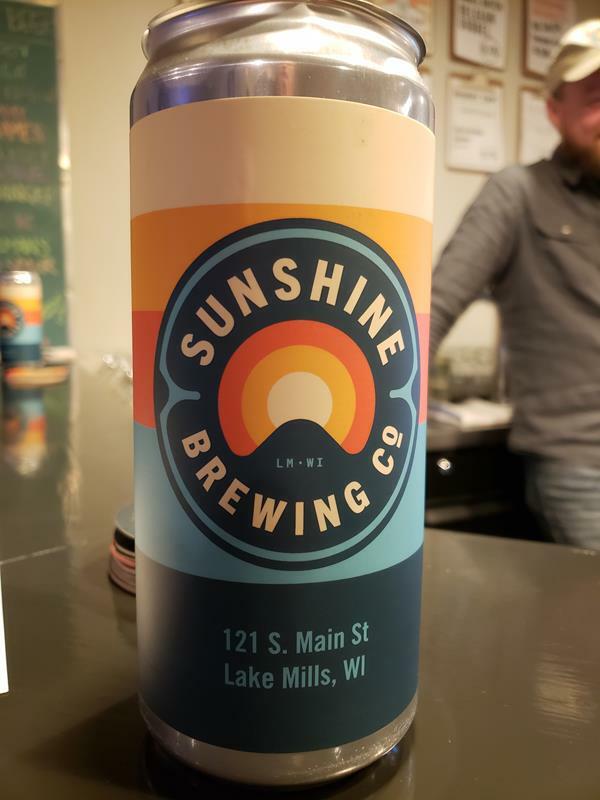 The newer of Lake Mills’ two craft breweries, Sunshine focuses on Belgian-style ales but offering up several other varieties as well. You can stop in their Taproom right along Main Street and sip their brews at the bar in the front or at tables in the event space in the back, which hosts bands, games, and the brewing equipment. Sunshine offers several guest taps from other craft breweries in Wisconsin and, when the mood may strike, a neighboring state or two. They’ll also let you take some beers to go in their 32-oz. crowlers (and growler in a can.) You can even buy a friend a beer in advance and they’ll not only get their beer when they arrive, their name will be up for all to see on the taproom board! You’ll find Sunshine along Highway 89/Main Street about a mile south of I-94. Their Taproom is open Thursday 5-10pm, Friday 5-11pm Saturday 1-11pm, and Sunday 1-5pm. An official U.S. Olympic training facility that helped train some of our skating athletes in the 2018 Winter Olympics going on right now, the Pettit National Ice Center welcomes over 425,000 visitors per year – you should be one of them. The Pettit features a quarter-mile speedskating oval and two international-size hockey rinks, with a running track surrounding the 97,000 square feet of ice. You can rent skates and hit the oval, play some hockey, run in a refreshing environment all year ’round (it’s warmer than the outside in winter and pleasantly cooler in summer) or just enjoy a snack and a beverage watching it all. Local Olympians Bonnie Blair and Dan Jansen trained here and still participate in activities, while hockey tournaments, indoor running events, skating lessons, and more keep the Pettit and busy, engaging, and (literally) cool place to check out right along I-94. You’ll find it (amidst a busy Zoo Interchange construction project) at Exit 306, the Highway 181/84th Street exit right by the Wisconsin State Fairgrounds. Note: eastbound I-94 does not have the exit to 84th Street reopened yet, so take the 70th Street exit and double back to 84th Street via the frontage road. 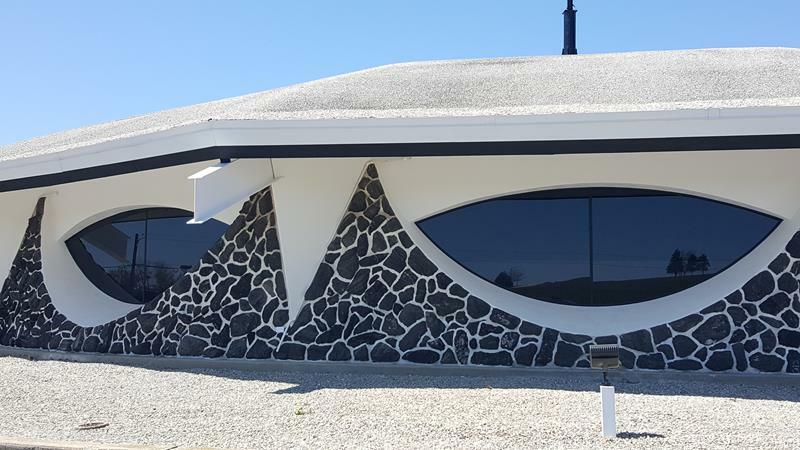 A longtime landmark along I-94 at Exit 267 (Highway 26), The Gobbler is an unusual building: a circular, Jetsons-esque 1960s design made to appear in the shape of a turkey from above. Even the roof over the drive-up entrance was designed to represent a turkey’s neck from a birds’ eye view (remember, turkeys don’t fly.) This place opened in 1967 as a restaurant, lounge, and hotel shortly after I-94 opened and quickly became a meeting spot for those coming from Milwaukee and Madison – and many legends surround some of those meet-ups. You can read a non-glowing – yet hilarious – review of the old Gobbler here. A bigger, extensive salute to the original Gobbler can be found on this blog, featuring tons of links and pictures. 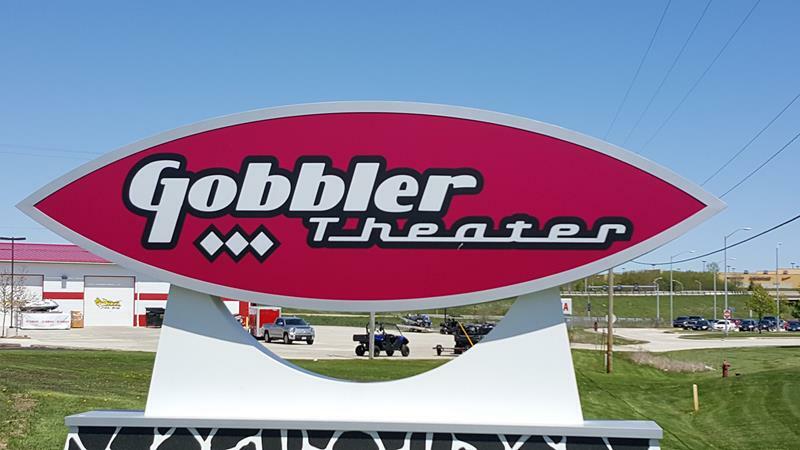 The hotel is long gone and the restaurant had closed for over a decade before the original space was transformed – with many of the better original elements preserved – into a new entertainment venue now called The Gobbler Theater. Opened in December 2015, it’s open for concerts and at various other times to see the building, have a drink, and discover the history. Call them at (920) 699-0003 for updates and details. So next time you hit the interstate, plan some extra time and check out these six cool stops along I-94 between Milwaukee and Madison. And if you have more (we know there are a few more), let us know in the comments or contact us! It’s always good to explore Wisconsin’s fun and unique things to see and do. Click here to back to the main State Trunk Tour site and continue exploring! 2 Responses to "8 Cool Stops along I-94 between Milwaukee and Madison"
Hey, what’s up with all the wooden “roads” along 94 just North of Madison? The “wooden” roads? Like near the ABS facility?